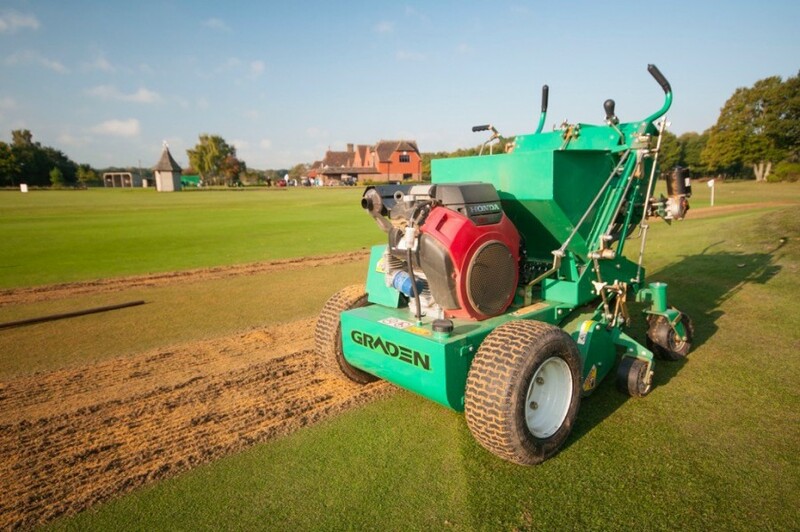 Within the Charterhouse portfolio is a broad range of overseeding equipment to suit any ground type or project. The concept of the Double Disc range is to effectively deliver seed into the soil via two rows of discs, in slits 30mm apart, to ensure maximum germination.The seed is buried up to 20mm (3/4”) deep in the ground, safely away from the weather and the beaks of hungry birds. Launched to much acclaim in a 2.2m format, this was quickly followed by a 1.8m and 1.4m working width. The Double Disc 1430 Overseeder is fully adjustable for any type of seed and has a 230litre hopper capacity.With its disc spacing of 30mm, the DD1430 delivers the seed effectively and accurately between the disc blades into the groove in the ground, leaving minimal surface disruption in its wake. The whole Double Disc range comes complete with 3-point linkage as standard. A 50hp tractor, combined with the optional trailed wheel kit, sees the Overseeder taking undulating ground firmly in its stride. 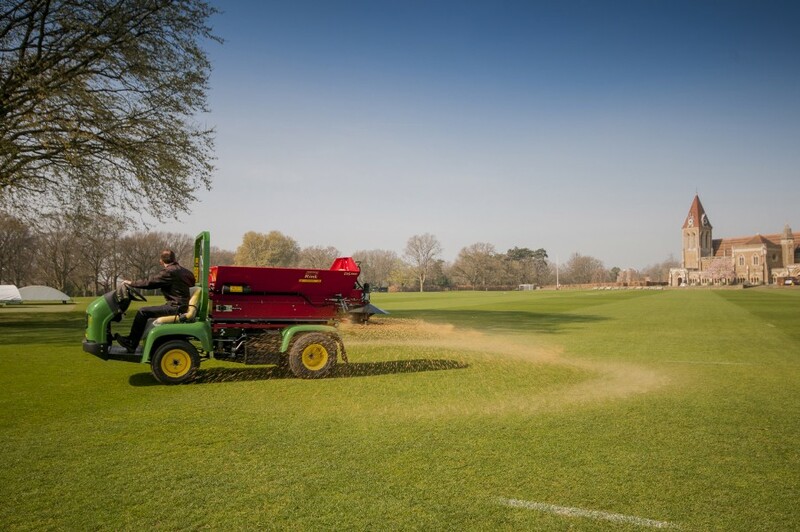 The Redexim range of Overseeders encapsulates a variety of working widths from 0.84m to 2.4m and different delivery methods, including disc and dimple systems. 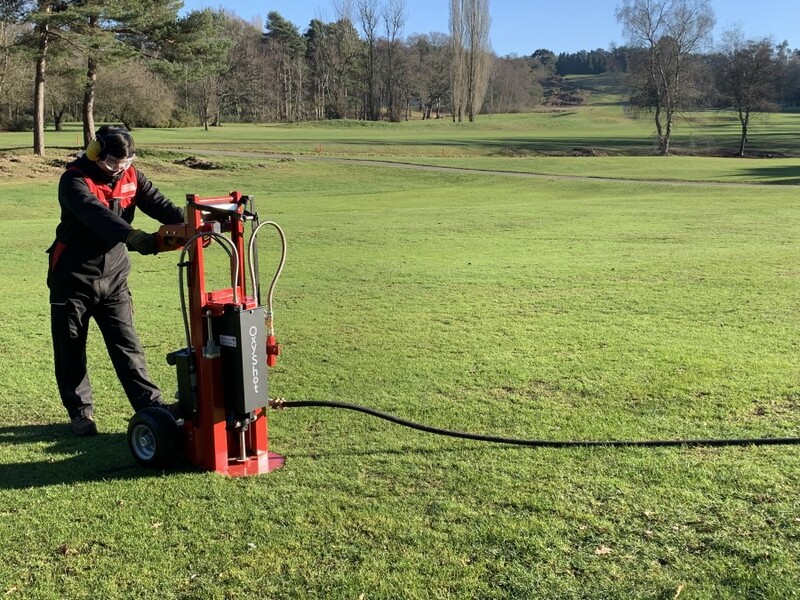 For areas such as golf greens where drill lines need to be avoided, the Speed Seed 1600 is ideal. It works by delivering the seed into dimples relatively close to the surface, created by a spiked sarel roller. The whole range is fully adjustable for any required seed density helping to ensure maximum germination no matter the task at hand.